Following Greg Mortimer’s maiden sea voyage ‘Spirit of Antarctica’ in late October 2019, the ship will operate an additional 20 expeditions across the 2019/2020 season with itineraries visiting Antarctica and the Arctic. 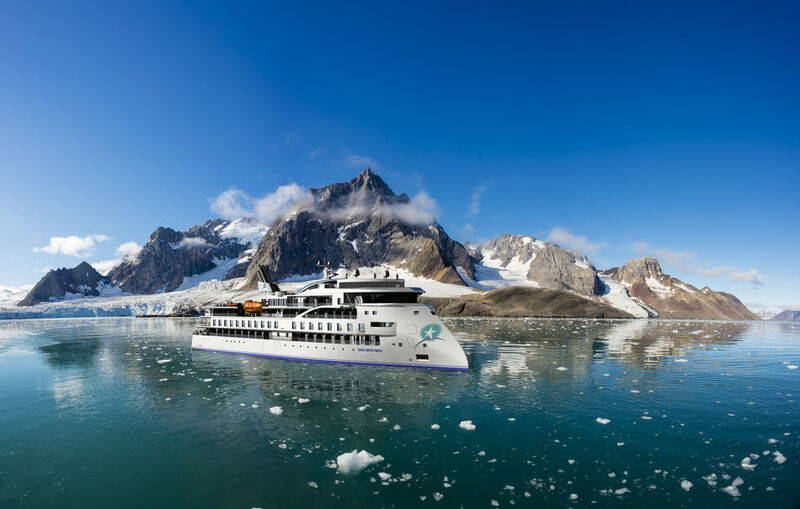 The state-of-the-art Greg Mortimer will redefine expedition cruising as the first expedition cruise ship to feature the patented ULSTEIN X-BOW®. The new 104-metre ice class 1A expedition ship will utilise the latest advancements in naval design and technology to make exploring remote destinations even easier, and to create a more enjoyable and comfortable expedition experience for the 120 expeditioners on board. The main advantage of the ULSTEIN X-BOW® is its ability to pierce waves with much greater stability than a traditional bow whilst maintaining speed. Because it uses less fuel to get through the waves, it also improves fuel efficiency and reduces air emissions. Safety is a core principle for Aurora Expeditions and the Greg Mortimer will feature the latest ‘return-to-port’ technology, as well as virtual anchoring and dynamic positioning to ensure the protection of the Poles' delicate sea floor. Getting up-close to nature is at the core of the ship's experience, and the new ship better facilities this immersive experience, through its 15 Zodiacs, sea-level activity and Zodiac launching platform, as well as 360° observation decks. Additionally, passengers will have the option to attend onboard lectures delivered by some of the world’s leading experts, enjoy a drink in the panoramic observation lounge, or unwind in the wellness centre. The vessel was named Greg Mortimer in honour of the Australian adventurer and Aurora Expeditions co-founder. Greg Mortimer co-founded Aurora Expeditions in 1991 with his wife Margaret, with a shared passion for adventure, exploring wild places and sharing the experience with friends. Their aim was simple: to take small groups of travellers on voyages to regions that inspired them, thereby creating lifelong ambassadors for the preservation and protection of these sacred places.